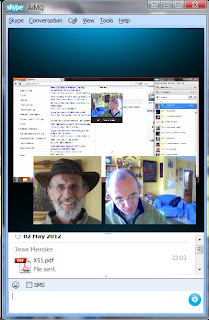 Skype Numerology: Tip of the day: free screen sharing with Skype! Tip of the day: free screen sharing with Skype! No more pop up screen inviting you to pay for Skype Premium, and while calling the other person you still can see HIS (or HER) video! But he or she can’t see you. Therefore, screen sharing is still free! But Skype doesn’t tell you this in the pop-up screen, of course, business is business! I tested this with version 5.9.0.114 for Windows. Thanks Jörg for commenting, we agree, and thanks Astrology for the "thank you"
Interesting Blog. Worth Reading it. Just discovered your bolg and it is absolutely fantastic. Thanks for sharing! I am looking some stats on % of skype users that connect skype with their facebook account, and I felt inspired to see if you know something about that. Any ideas? Hope you find this comment useful! Thanks a lot for the FaceBook app stats, I didn't know this site! have you ever heard about safety problems with Skype Video chat, hacked or recorded by strangers? I never heard about hacking of this kind! 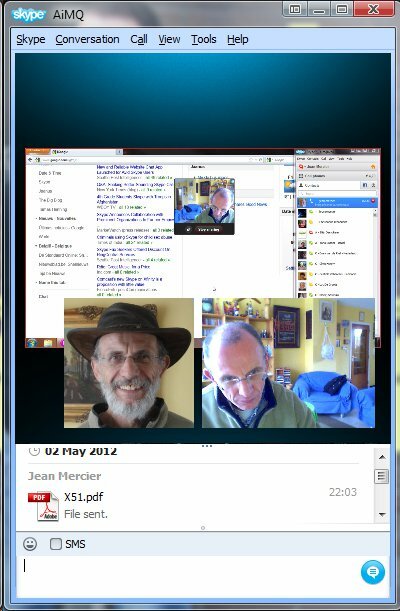 Not Skype, but other screen sharing software can also offer you the chance to share screen effortlessly. I recommend ezTalks.